As one of the very first arcade and ticket redemption games ever on the market, Skee Ball has a long history of entertaining people of all ages. 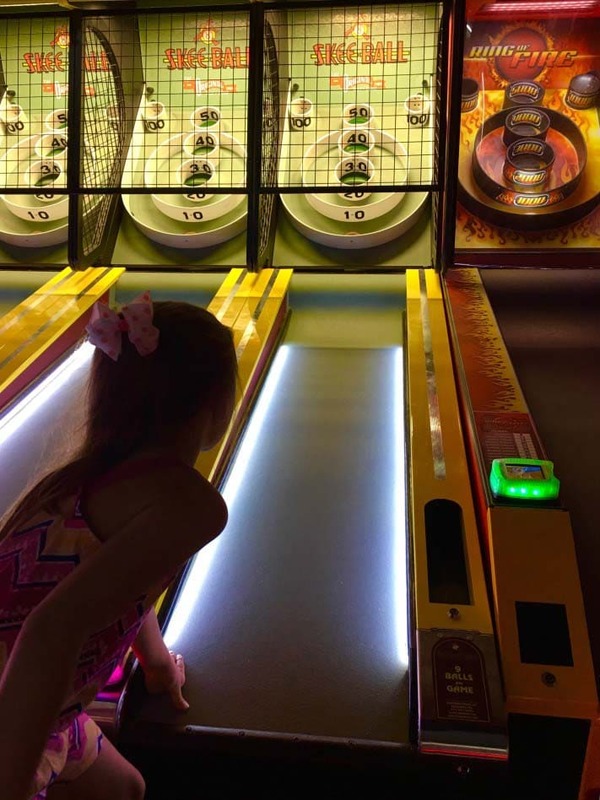 The best bar games are the ones that do not need to change much – and Skee Ball has been virtually the same game for more than 40 years. It gained popularity from its use on the 80s game show The Price is Right and its featured place in the national arcade chain Chuck E. Cheese’s around the same time period. And you may have noticed that Skee Ball is starting to appear in more bars these days. 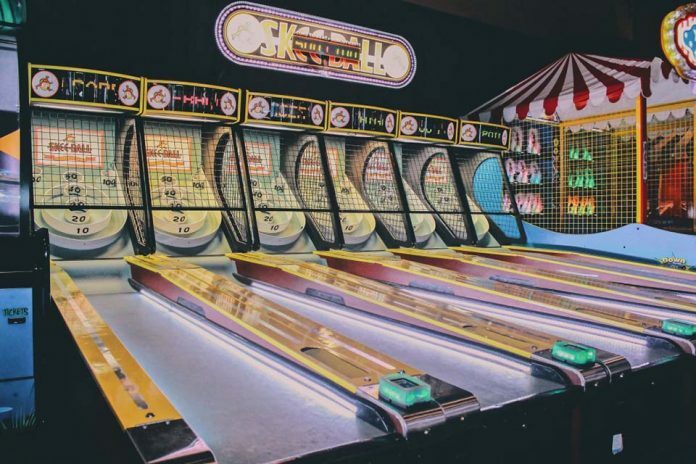 If you’re curious about the game, this post will provide a quick introduction so you can decide if Skee Ball will become part of your bar game repertoire. Unbeknownst to most people, the game of Skee Ball was actually invented in the early 20th century. 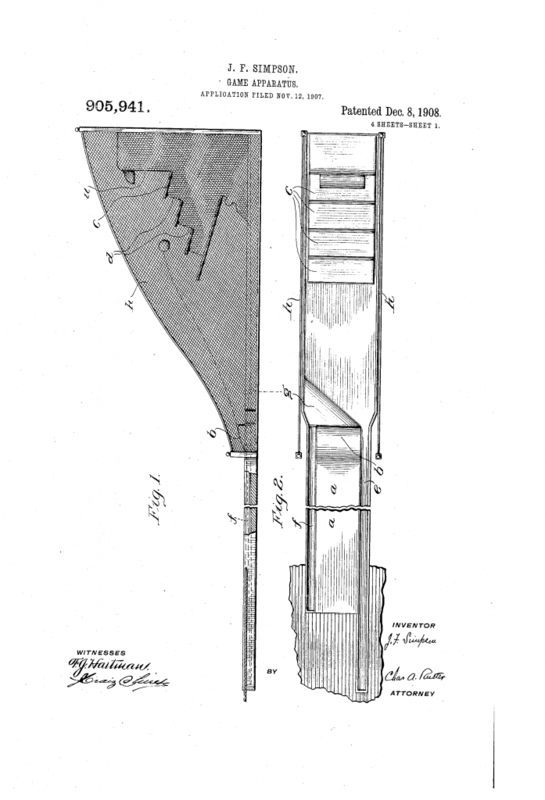 Joseph Fourestier Simpson of New Jersey is credited with the original invention and patent of the game in 1908. Two businessmen, William Nice, Jr. and John W. Harper, licensed the idea from Simpson in 1909 and began to manufacture Skee Ball machines through the Skee-Ball Alley Company. Although they sold the first alley relatively quickly, business was rather slow for the next few years. The company took a huge hit when Nice unexpectedly died in January of 1910. 1913 saw a resurgence in the company’s fortunes after another businessman and Princeton alum, Jonathan Dickinson Este, became enamored with Skee Ball during his college years. He took over the company, renamed it and grew it until he finally sold the business to businessman with even bigger pockets. From here, Skee Ball took off as a national phenomenon. The newly renamed National Skee-Ball Company began to hold tournaments with thousands of dollars in prizes as promotional events. Today, Skee Ball is owned by Bay Tek Entertainment and remains a staple in gaming locations around the world. You really can’t find a public arcade without one of these machines featured inside. Because of its proliferation in bars, college campuses and its generational popularity, Skee-Ball looks to be a game that will never really go away. If you want to play a rousing game of Skee Ball today, you have many, many places that you can go. Many retro bars now also have Skee Ball machines right beside the pool tables. These machines have become fixtures at bars looking to attract bar-goers from multiple generations. These bars will typically feature Skee Ball alongside other retro games like pinball and classic arcade games. For an example, check out Bar Elena in Washington, DC or the Crocodile Lounge in New York’s East Village. And many bars and establishments host Skee Ball leagues and tournaments for serious (but fun) competition. The most obvious place that you can still go is the public arcade. Although the popularity of the public arcade has waned somewhat in the wake of powerful home gaming systems such as the PlayStation and the Xbox, those that exist will usually have a Skee-Ball machine prominently featured. The game is always a hit at children’s birthday parties, and adults who may be looking for a bit of nostalgia can always stop in for a game. You can rent a Skee-Ball machine from any number of arcade or event companies. In most cases, the machines still dispense tickets that can be used to purchase prizes from the front of the arcade. 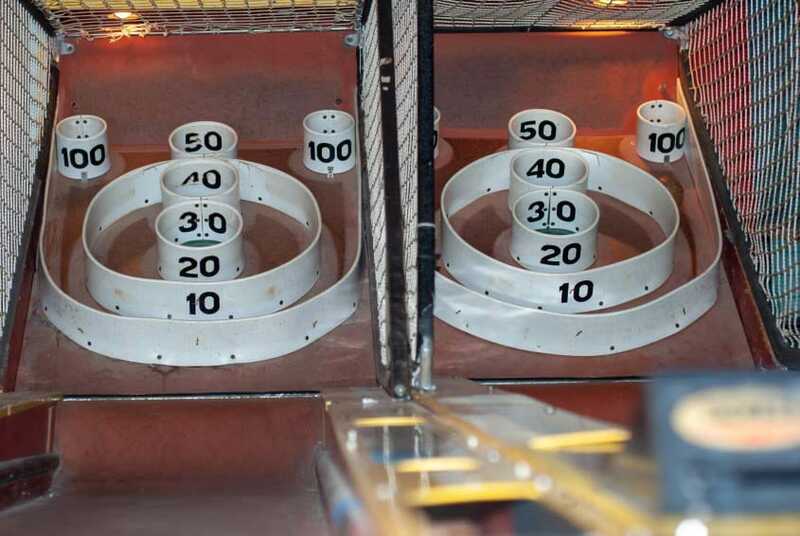 One of the main reasons for the popularity of Skee Ball as a classic arcade game is because it is one of the games that dispenses the highest amounts of tickets for the least amount of play time. If you don’t have a retro game pub or arcade in your area, then you may want to check your nearest college. Many fraternities have invested in Skee-Ball machines and frequently break them out during parties. Many fraternities actually hold Skee Ball tournaments (that may or may not coincide with drinking games) with substantial prizes for winners. 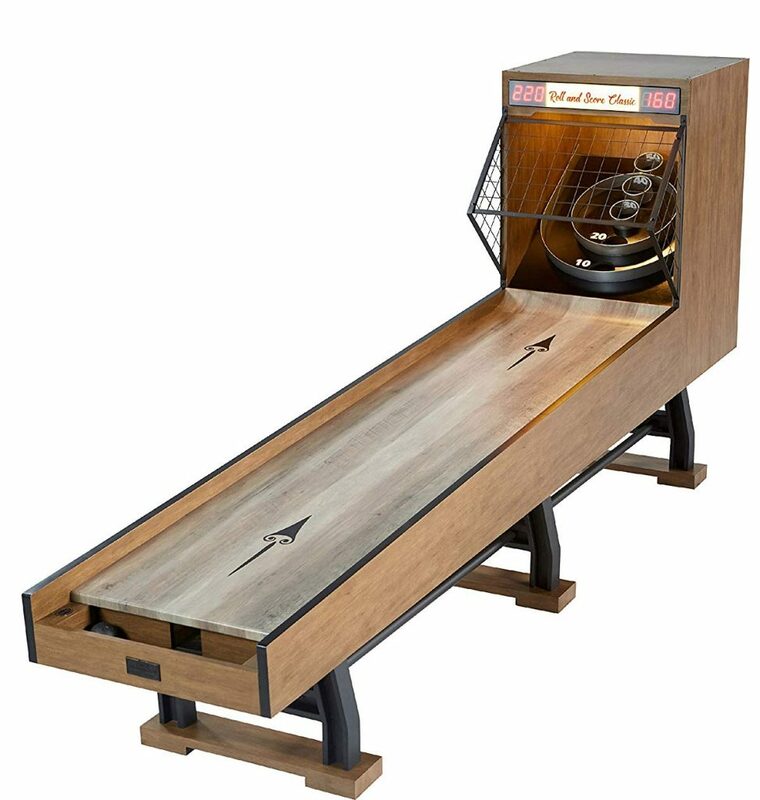 If you’ve fallen in love with this game and are looking for an addition to your game room, there are plenty of Skee-Ball machines that are perfect for home use. One of our favorites is the Roll and Score Skee Ball machine, a 10 foot long vintage set with LED lights and electronic scoring. The rules of Skee Ball vary depending on where you’re playing. Many bars have their own set of house rules that apply to Skee-Ball leagues and tournaments. 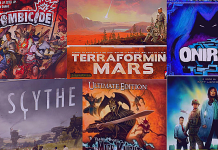 These rule-sets are usually intended to add both fun and structure to the games. Here’s an example. There are general rules that apply to most team Skee Ball matches though. You must stand behind the marked line when rolling. Some of the more sophisticated Skee-Ball machines incorporate an alarm system if your arm breaches this line, which is usually clearly marked. Again, check the bar or arcade rules before playing. They will likely have specific provisions. Playing Skee Ball is fairly simple. 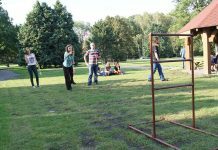 The object is to roll the ball up the alley and score as many points as possible. Points are designated by holes within walled scoring sections. The higher holes are worth more, lower worth less. The available points per hole on most tables are 10, 20, 30, 40 and 50. 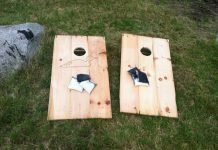 Then there are two corner holes worth 100 points each. 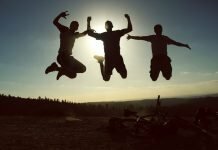 A basic technique to remember is to aim high. That way you increase your odds of at least catching a lower score on the roll down. 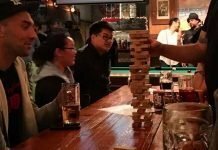 While the concept of the game is simple, like all good bar games, it obviously takes some skill to achieve high scoring rolls on a regular basis. You may find it frustrating at first and struggle to land your ball in the right scoring hole. Have no fear and keep trying. Eventually you’ll start getting some nice scores. If you need some help, here are some tips from a national champion. Remember to aim high, and check this out to learn about the mathematical probability for hitting certain Skee-Ball scores. If you are in an arcade, you will receive tickets based on the amount of points you get at the end of your game. Make sure that you note the amount of rolls that you get for a certain price. Once the game is over, you can take the tickets that have been dispensed and see if you were accurate enough to earn the appropriate number for a prize at the counter. Why is Skee-Ball Such a Fun Bar Game? The rules of Skee Ball are so simple, but the game keeps you coming back for more. Like the game of darts, because it is a game of accuracy that is rather difficult to master, there is always a challenge of doing better than you did last time. 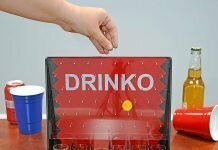 The added incentive of prizes at arcade counters (or fraternity makeshift bars) is what makes the challenge so enticing for some people. However, some Skee-Ball champions play the game for the knowledge of mastery. There are so many factors that go into getting a high Skee Ball score. Getting a perfect score requires focus, technique and an extraordinary amount of knowledge about the game. Most importantly, this is a game that everyone can get into. No matter what kind of party you are throwing at the bar, people can always come to Skee-Ball and have a great time. This is a great game for people who are completely drunk and people who are completely sober. It is a great game for kids who can barely hold a ball and older people who have been playing their entire lives. It’s Skee-Ball – one of the best party games that has ever existed!